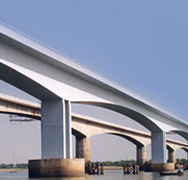 Second Vivekanand Bridge Tollway Project - Rite Geosystems is a global instrumentation and monitoring solution provider, offering turnkey solutions in geotechnical, structural, environmental monitoring and geodetic surveying. A unit of the renowned Encardio-rite Group, Rite Geosystems leads the group’s operations across the world in USA, Europe, and Asia. 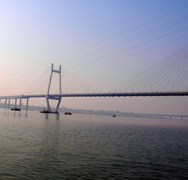 This project includes an 880 m long and 31.1 m wide cable-stayed bridge and six lane approaches on both sides with ramps. 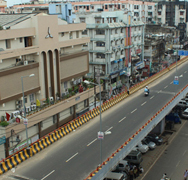 The Second Vivekananda Bridge is the first of its kind in the country as there is only one set of cables holding the 880m bridge up along the central median. Instrumentation for the project is done by Encardio-rite. 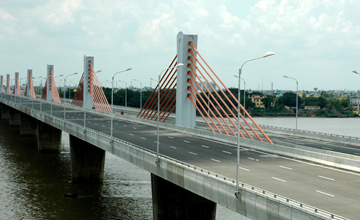 The project is under the SVBTC (Second Vivekananda Bridge Toll way Company Pvt. 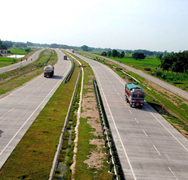 Ltd) & NHAI (National Highway Authority of India). The contractors for the project are L & T ECC.